I've always wanted to build my own PC but have never really had the motivation until after purchasing an iPad pro and my laptop began to go down hill. Using the iPad pro as my main portable device freed me up to finally look into building a desktop. I titled this build Down the Rabbit Hole, because that is exactly how I felt as I began researching about building a PC, it was an endless supply of information and opinions. My main focus on this build was making it as future proof as possible. I am currently in grad school and have limited finances but wanted a build that will last for several years to come and that can be upgraded over the next few years. I specifically wanted a motherboard with both WiFi and Bluetooth on board, a Samsung SSD, and a Seasonic power supply. As of right now I couldn't be happier with my PC. Not only is it actually running and working! It is 10x faster than my old laptop, the mechanical keyboard makes me WANT to write my papers, and I can currently play Overwatch in 1080p with an average of 64fps. I'm looking forward to upgrading in the future and have completely fallen in love with the PC community. I have been so thankful for all of the information I have been able to gather from this site, reddit, and youtube to help me during this process, you guys are great! Thank you! I chose this APU as it fit well into the budget, has 4 cores, and allows me to play some e-sport and older titles on the integrated graphics. So far everything is running smoothly, haven't had any problems running several applications at once. I've been able to play Overwatch on 1080p with an average of 64fps and haven't overclocked anything yet. I plan to buy a dedicated graphics card in the future but still believe this will be a great CPU. I would say that if you are able to buy a dedicated graphics card off the bat go with a Ryzen 5 1600 or 2600 as they do seem to get better FPS in games but for office work, light gaming, or as a budget build this APU is great! I mainly chose this motherboard as I had already decided on the Ryzen 5 2400g and wanted a 450 motherboard so there would be no bios problems. I also wanted a motherboard with built in Wi-Fi and Bluetooth, both of which have been working perfectly. The RGB was a nice bonus and adds some pleasing aesthetics to my build. Overall I wanted a motherboard that had the features I was looking for and that I felt would last for the next several years. As of right now this motherboard is working perfectly, with no problems. I love that it has features that I don't even need right now as it will allow me to continue to upgrade my build in the future. Chose this memory mainly because it was the cheapest black 2x4gb DDR4-3000 that I could find at time of purchase, the RGB was just a nice bonus. With my b450 Gaming Pro Carbon motherboard I did have to go into the bios to manually overclock in order to get the advertised speed. However it has been running stable at 3066 for several weeks now. I can also modify the RGB through the MysticLight app which has been nice as well, and it looks great. 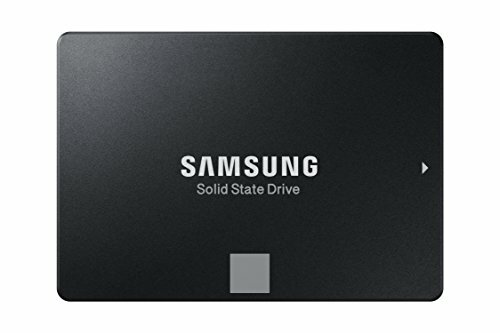 After reading several reviews for SSD's I decided I wanted to go the Samsung route even if it meant I had to pay a little extra and start off my build with a little less storage, but I couldn't be happier with my decision. This is my first experience using an SSD and I am completely blown away. Windows 10 loads in less than 10 seconds (and that's no joke, I thought other reviews were exaggerated, but its true), and I am able to download and upload documents, pictures, and videos incredibly fast. I'm not sure that I can ever go back to the HDD world. You won't be disappointed with this purchase. I already had my mind made up that I wanted a seasonic power supply after reading several reviews of various power supply units. 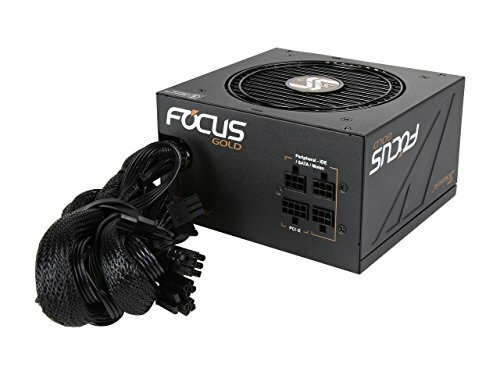 I also wanted to go ahead and get a gold rated to help future proof the build, and was originally planning on the 550w. However with a rebate I was able to catch the 750w on sale which actually made it nearly $30 less than the 550w. It is major overkill for my build, but it provides plenty of growing room. So far I haven't had any problems, the black cables look sleek and were easy to work with even for my first build. I don't foresee any future problems, and Seasonic has earned a customer for life. (There was also a $25 steam gift card "gift" inside of the box which I wasn't expecting, I filled out the form and am waiting to see if it actually works, if it does and I receive my rebate as well then I will have gotten this power supply for 24.99, which is crazy!). After reading several reviews I knew that I wanted a mechanical keyboard with RGB lighting but yet I wanted to spend less than $50. I also needed a 87 key version as I have a very small desk. I was originally looking at the Reddragon K552 RGB with blue equivalent switches. However, I really wanted brown switches and that's how I came across this keyboard. It was a newer keyboard with fewer reviews on Amazon, yet good reviews so I decided to give it a shot. My typing life will seriously never be the same again. I absolutely LOVE this keyboard! It literally makes me WANT to write my papers for school. It feels great, it sounds great, and it looks fantastic. I was completely taken back by the quality of an "off brand". Granted I haven't tried a $200 Corsair mechanical keyboard but for the price it seriously can't be beat. Now I'm going to have to buy one for work as I now notice how horribly mushy a membrane keyboard is. Did I mention I can average 96 words per minute on this thing? Its crazy! Yes, I was trying to stay under $650, and I didn't want to compromise on other parts of the build such as going with a cheaper motherboard, psu, or an hdd over an ssd. I decided to go ahead and get the APU and plan to add a 580 8gb in the next 6 months. With Ryzen guaranteeing the 350 boards to work through 2020 I plan to pick up one of the newer CPU's down the line as well. So hopefully its more future proof than just going with the cheapest I could afford and still get a good GPU, that was the goal anyway. impressed by the RGB. makes the relatively low-budget PC look like a $1000 build. good APU pick. the Vega 11 graphics are about as good as a cheap dedicated card. Thank you! So far I've been very pleased with the graphics on the Vega 11. As I am completely new to PC gaming its a great starting place and I plan to add a dedicated GPU down the line. Right now I've only tried out Overwatch and some older RPGs but have been able to get 60fps in 1080p. The new RTX cards are actually really affordable if, A) you have someone else pay for it. Or B) a teenager who got a part time job over the summer. If your an adult and have to pay bills but ya they aren't really affordable. Thank you! How do you like the 570? I’ve been trying to decide between the 570 and the 580 for when I do purchase a GPU, I’m only looking to play at 1080p as that’s what my tv will allow. However I really want to play the Witcher 3 with around 60fps and I wasn’t sure if a 570 could handle that? Thank you! I will definitely look into the comparison of them. The saphire nitro 580 was what I was looking at the other day, but I’m still a few months out from purchasing one, hopefully I can find a random flash sale or something. Awesome Budget build! With the parts you've picked expanding will be easy! Nice work on the rgb, adds a certain feel. With price expectancy look into a 1070, in a few months some should be around 200 usd! Really?! That’s crazy! Would the 2400g be able to support it without bottlenecking? And thank you! Almost guarantee you could, and no problem! I think you spent a lot on the psu maybe you should have choosen a 600watt psu... Anyway nice build man...I am also hiding my money so I can buy a pc. Ya the PSU was a complete overkill, I was planning on going with the Seasonic 550w but it was actually more expensive than the 750w was on sale, it was the cheapest out of all of the Seasonic focus options. Hopefully it’ll last awhile though. You have to download the NZXT Cam software from their website (I have had a ton of problems with it but its the only way I've found to change the lights). For ram have you tried the XMP profile (Or creating a custom overclocking)? Sometimes it is changed to minimum mobo support by default. Ya I was actually able to do a custom overclock and it has been running stable at 3066 for a couple weeks now, just had to watch a couple YouTube videos to figure out how to do it.